The Transient Shawl by Michelle Hunter is a beautiful design knit with Concentric by HiKoo. Named after the concentric circles that this cake of yarn so closely resembles, these color gradients were carefully designed by the Skacel color specialists! 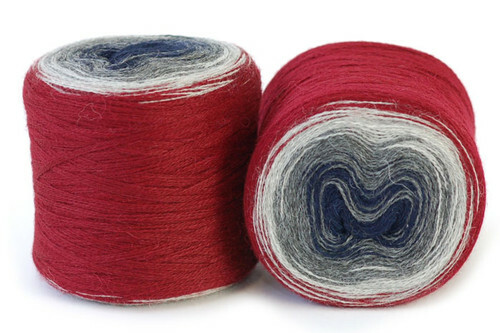 Concentric is made from four non-plied strands, which create the distinctive color change. In Transient, each color change will bring a different stitch pattern in this easy to wear shawl. You will find yourself racing to the next color change to find out what comes next! The sample in picture 1 was knit in Pick 1: Concentric 1032. 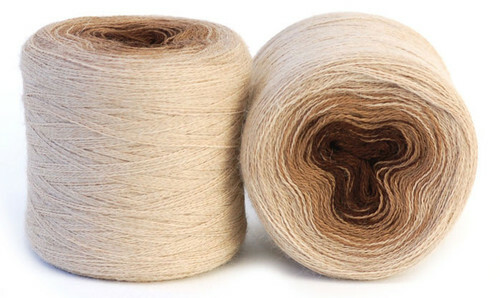 If you want to purchase the yarn only, visit our online yarn shop for HiKoo Concentric.